The Sound Projector is a radio programme dedicated to new music, sound-art, noise, and certain surprising combinations. 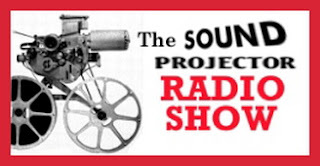 It is possible to regard the radio show as the aural equivalent to The Sound Projector Music Magazine, a self-published music magazine produced by Ed Pinsent in London. The magazine’s contents, mostly reviews of submitted records and CDs, are often themed according to the editor’s personal choices and naming schemes.